I enjoyed your musings, but I laughed at the photo. The underside of that mushroom looks remarkably like one of the air filters for my car — and that’s no fooling! Man has been using nature’s designs for eons, Linda! … except nature’s don’t pollute. Frills, gills and a bit of frivolity. Very nice! 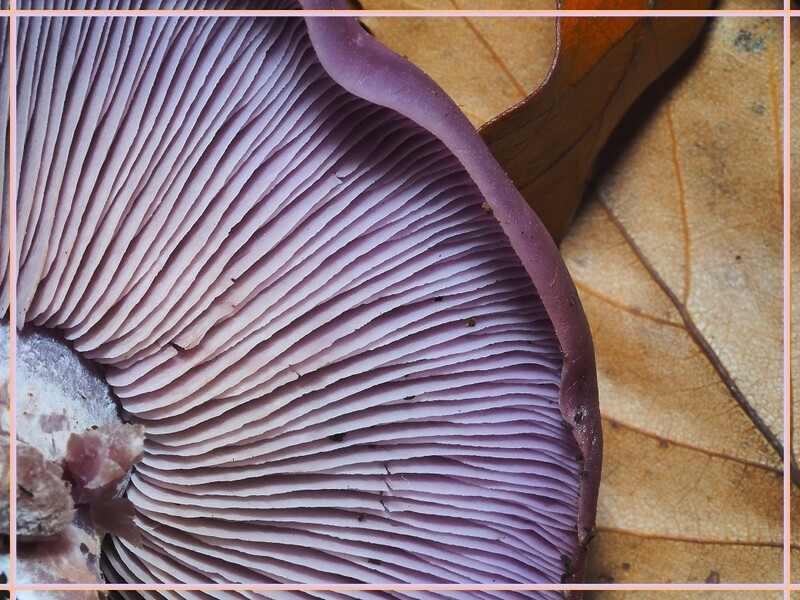 This mushroom is dressed to the gills … (you know I had to Google to see if that was an expression because it seemed to have fallen off the track in favor of being “dressed to the nines”) – either way, that is one pretty purple mushroom. I love the contrast between the mushroom gills and the veins of the leaf! Great photo, Tom! The number of people duped seems endless.